Chicago, Illinois—September 4, 2018. Ex Libris® Group, a ProQuest company, is pleased to announce that Harvard Library has gone live with the Ex Libris Alma® library services platform and the Leganto™ course resource list solution. The Alma platform will support new workflows and processes that make sure that Harvard Library’s patrons always receive the service they need, while Leganto resource lists will be central to Harvard Library’s strategy of providing comprehensive support for courses throughout the university. Harvard Library is always looking for ways to enhance services for users as well as to improve the teaching and learning experience for faculty and students. 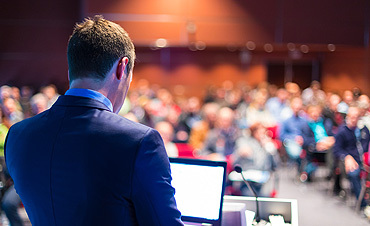 The unified Alma resource management capabilities, advanced workflows, robust infrastructure, and cloud-based platform, combined with the Leganto solution’s faculty empowerment features, advanced analytics, and integration with copyright clearance services, will assist Harvard Library in providing the best services to its community of users. Together, Alma and Leganto will help us ensure that our extensive resources are used optimally in teaching throughout the university. The Alma implementation helps Harvard achieve its goal of actively managing print and online collections within a single framework throughout the library. As a result, users benefit from faster and more complete discovery of Harvard’s online resources, and the library gains an agile system that can handle current and future technologies to support all of Harvard’s users. The Leganto resource list solution enables Harvard Library to take a more active role in teaching and learning and to best serve Harvard’s academic goals. Through the Leganto service, Harvard can now analyze data on the usage of course resources and make the analyses available to the faculty. The library can also immediately see what resources will be needed for new and current courses, thus contributing to Harvard Library’s program of strong course support. Engaging users through curated discovery, digital collections, reimagined physical space, and specialized research support, Harvard Library delivers exceptional experiences to its user communities. Serving as an information hub, the Library connects users to related disciplines and to University-wide teaching resources. Today, Harvard Library’s holdings range from traditional print collections to rapidly expanding digital resources. It is the work of the Harvard Library to provide the University’s faculty, students, and researchers—now and in the future—with comprehensive access to these materials. Explore @HarvardLibrary and library.harvard.edu to learn more. 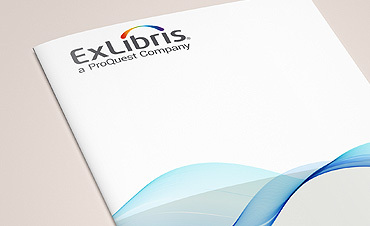 Ex Libris, a ProQuest company, is a leading global provider of cloud-based solutions that enable institutions and their individual users to create, manage, and share knowledge. In close collaboration with its customers and the broader community, Ex Libris develops creative solutions that increase library productivity, maximize the impact of research activities, enhance teaching and learning, and drive student mobile engagement. Ex Libris serves over 7,500 customers in 90 countries. For more information, see our website and join us on LinkedIn, YouTube, Facebook, and Twitter.